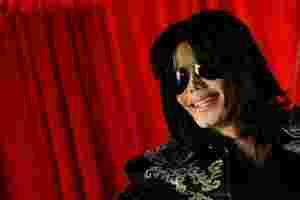 A file photo of US pop music star Michael Jackson. So, now the bed that Michael Jackson died in is up for auction. And one is pretty certain that it won’t stay unsold. The hammer will fall, and triumphantly. But it still seems creepy, even in these times we live in, with the lines blurring so fast and so constantly between reality and make-believe, celebrity-hood and outlandishness, art and incoherence, desire and the urge to just effing acquire. Someone will buy it. He will, one supposes, take his dinner guests around and show them the bed with all the ghoulish pleasure and pride he can muster. Will he invite them to lie on it and try to experience what could have been going through Jackson’s over-drugged, helpless mind as life slipped away? Will these honoured guests then squeal about it to their friends and children and grandchildren -- I lay there, those pillows, that mattress…One hopes that they’ve changed the sheets and made the bed; after all it’s nearly two and a half years since that night of tragedy and infamy. An executive director from the auction house in charge of the proceedings has been quoted in the press as saying: “(Michael) loved (this place). It was a very happy place where he spent his final days." Yes, right, but “happy" seems like such a bizarre and almost incomprehensible word when used in connection with that deeply troubled man who did not -- and never could -- figure out what it meant to grow up, to not be a child any more. Someday, many years in the future, when Michael Jackson’s name and music will be hazy memory, will the bed be in some mansion where no one will know its history and children will bounce up and down on it, and grandmothers tell them scary stories to send them to sleep? Jackson would surely like that, the child who spent his life searching for the happy childhood he never had. To find what he sought so desperately, he gathered children around him, and supplied more fodder for lurid imaginations than possibly any celebrity ever -- at least anyone as famous and successful as he was. A life of helpless confusion -- lived actually in a crayoned world quite different from the one which we inhabit, and which he was forced to breathe in and stumble through --ended in a dismal death as sudden as Cinderella’s story ending with the coach turning back into a pumpkin. Yes, maybe someday, a century from now, through strange and unpredictable vagaries of fate and time, the bed will turn up, not looking so grand any more, in some home or orphanage, and it’ll just be a big bed for imaginative children to lie in and dream, to think of it as a ship sailing in some search of some marvelous treasure, or a quilted city at the edge of a rainbow. That would make Michael Jackson happy. At last.